The stunning red squirrel is native to England and it's always a special sight to spot one of these cheeky critters scampering through our woodlands. Unfortunately this is becoming an increasingly rare occurrence as the last century has seen a dramatic decrease in their numbers. The reason for the widespread decline across Britain can be attributed to two main factors: the destruction of habitat, and the introduction of the grey squirrel from America. It is estimated by the Forestry Commission that there are now as few as 140,000 red squirrels left in Britain compared to the 2.5 million grey squirrels. The reds favour coniferous woodlands but with new developments forcing deforestation of large areas, it is unsurprising that the squirrels are suffering for it. In addition to this the grey squirrels are a hardier species and compete for food and habitat. They carry the squirrelpox virus which is harmless to them but deadly to the reds. Remedial measures are being put into place. Because the reds and the greys can't cohabit in the long term conservation techniques include providing safe environments for the red squirrels. Various groups and charities such as the Wildlife Trusts and the Red Squirrel Trust have been established to try to help. In fact, efforts have just been stepped up a gear as 5,000 volunteers are being recruited from across England, Wales and Northern Ireland to help with the conservation projects. 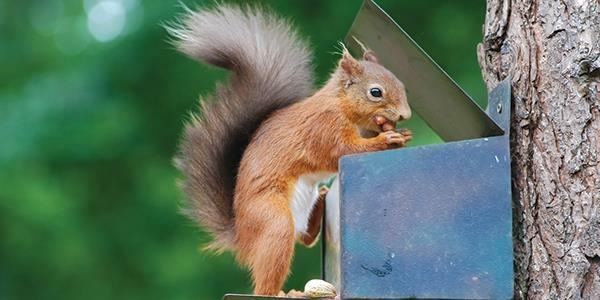 The Wildlife Trusts will focus their army of volunteers on nine major red squirrel strongholds and participants will be monitoring the animals, setting up cameras and carrying out surveys. One of the nine locations is north Wales and we are really proud to be located close to (and helping to support) the population of red squirrels on the Isle of Anglesey here at Henllys. Situated off the north-west coast of Wales, the Isle of Anglesey is perfect for red squirrels because it is cut off from the mainland by the Menai Strait. It has been targeted as a squirrel conservation zone for many years now and, following a successful eradication of the greys, the island's squirrel occupants now consist solely of reds. And they are really flourishing! In fact, 60% of Welsh red squirrels can now be found on the island. It was in the 1990s that conservation projects were set up to raise numbers back to what they once were on Anglesey. Dr. Craig Shuttleworth is a director for the Red Squirrel Trust Wales and Scientific Advisor for the Red Squirrel Survival Trust. He worked hard to increase numbers on the island from less than 40 to around 700. 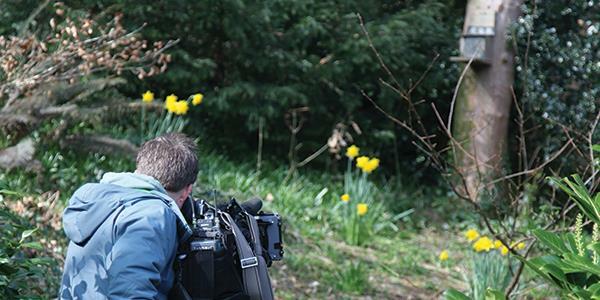 Eradication of the grey squirrels, combined with a reintroduction programme set the wheels in motion and his work releasing the final kittens was covered by the BBC in 2013's series of Aumnwatch. This area around north Wales is great for their favourite coniferous woodland, which is why the squirrels were once so widespread here. It means that the woods around Henllys are perfect for the animals and the conservation programme originally saw six red squirrels released in Henllys' surroundings back in 2007. 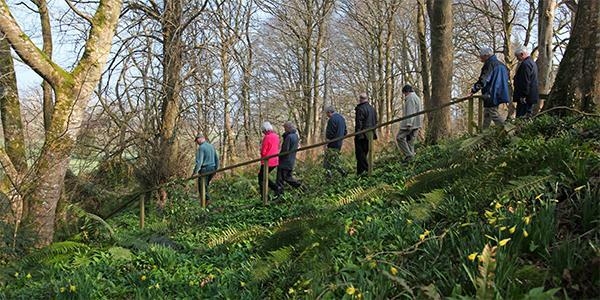 Now more than 300 are thriving happily in the combined areas of Newborough and Pentraeth forests alone. We can proudly say that the Red Squirrel Trust, together with the help from Henllys, have reintroduced red squirrels to the south-east corner of Anglesey. 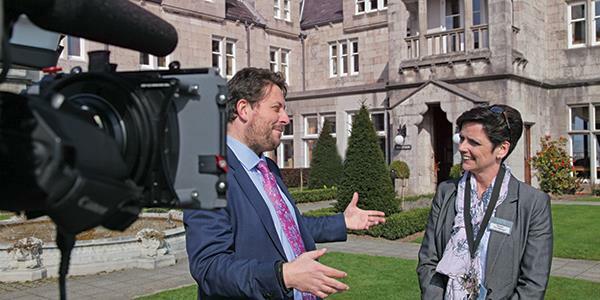 Back in 2015 Dr. Craig Shuttleworth was filmed by an ITV film crew revisiting Henllys and talking about his important work. Henllys' woodland is a great place to spot these nimble little creatures and weekly woodland guided walks and nature talks are provided for the guests by the site woodsman David Morrison. The idea is to encourage a greater appreciation for the red squirrels and to develop understanding for the need to protect them. If you wander through the lovely woodland you will come across viewing platforms and feeding stations from which to get a better view. You can also view webcam footage on the Red Squirrel Trust Wales Website. 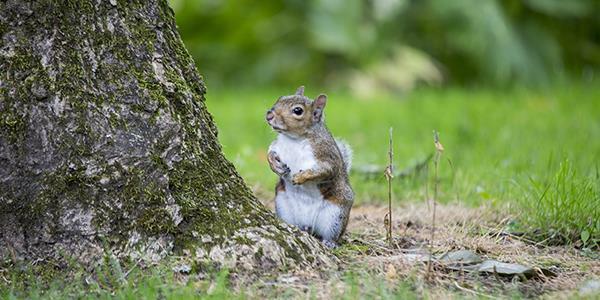 The Menai Strait acts as a natural barrier between the two squirrel species, however now that the population has done so well on the island, they are starting to move across and colonise the mainland too, which is great news! Gwynedd, on the mainland side of the Menai Strait is seeing more and more red squirrels appearing in its woodlands. Red Squirrels United, a collective group of 30 wildlife organisations, has started to put control methods in place for the Gwynedd greys. The hope is that they'll be prevented from recolonising in order to allow the reds a chance to expand. We're really lucky to be located in this part of the country where it's so easy to spot such beautiful and rare creatures in local gardens, parkland and woodlands. It gives us great pride to be able to help support red squirrel conservation, providing a sustainable environment for them and offering our guests the opportunity to see them on site in their natural habitat. Find out how you can stay at Henllys yourself by entering your details at the bottom of the page to receive a free brochure.